Pricing plays an important role with a number of factors to consider, such as the speed in which a seller needs to complete and the level of competition currently in the marketplace. We offer an independent assessment of your property carried out in person by Andrew Williams, free of charge and with absolute no obligation. You may want an idea on value without being sure about selling, perhaps as part of an intension to re-mortgage. We are more than happy to help, our Market & Property Appraisals are genuinely free with no fear of the pressure or constant pursuing often associated with such appointments. During the visit we explain how the market is performing, advise you of potential climate changes and offer advice and guidance on how to maximise your sale price. 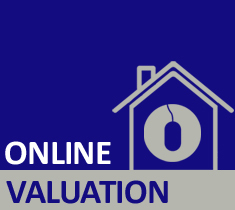 When suggesting a price, we use our expertise, sold price date, recent activity on properties similar to your own, and information gained from our continual market research activities. If you are new to the business of selling property, there will be plenty of opportunity, before, during and after the appointment, to ask questions and discover more about the selling process. When you decide to sell, we will discuss various marketing plans and find the one best suited to you and your property. At Williams Estates we use the very latest technology and proven marketing techniques to promote your property. We advertise on two of the major websites; Rightmove and Onthemarket plus our own website westates.co.uk, which is fully responsive for compatibility with smartphones and tablets. Your property will also be prominently displayed in our showroom, including the digital television, which fronts on to a busy road intersection. The more exposure your property receives the wider audience you can expect to attract, giving greater choice of buyer. Once instructed, our proactive team of sales professionals will immediately contact our database of registered buyers by telephone, email and SMS text alerts. All potential buyers are pre-qualified and if the situation dictates, and upon request, we will only put forward buyers suited to your requirements. For example, if you are in need of a quick sale in order to facilitate a purchase of your own, then those buyers with a property to sell but not yet on the market, or those who are part of a lengthy chain, may not present you with the best choice. High quality photography, glossy brochures (physical and digital versions) along with floor plans can help promote your property in the best possible way.